Well this summer has been a quite busy one for me and since I didn’t post about my first convention this summer, this will be 2 convention reports in one. 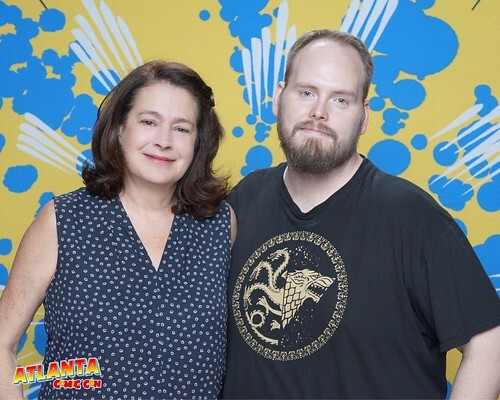 First off Atlanta Comic Con from July. This is the first year of the con’s existence, but it’s run by an experienced group that’s done shows across the country. I attended on a Friday...missed some of the bigger names that were there on Saturday, but Saturday was my birthday and I didn’t want to spend my birthday waiting in lines all day. I did get to meet some cool people though and pretty much chatted with board member AndrewS23 all day. First was supposed to be an autograph signing for Ray Park, but his early table appearance was canceled. I made sure to ask an actual staff member and not a volunteer if he was doing table photos, but the person specifically said no one, aside from voice actors, were doing table photos. I personally didn’t believe that at all but couldn’t chance it with certain guests since I would only be there for one day. 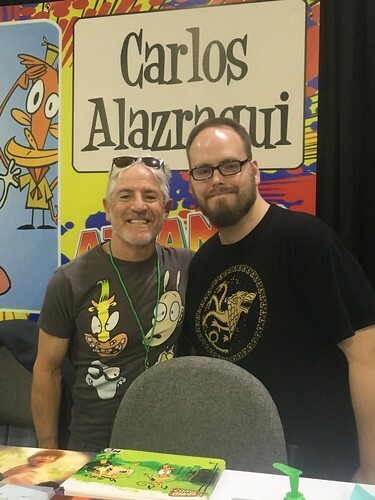 In the meantime, I went over to the table of Carlos Alazraqui, main voice from Rocko’s Modern Life, but also known from Reno 911. We chatted for a bit, mostly about Rocko possibly coming back to Netflix. 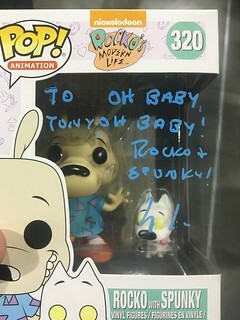 He signed my funko pop and took a nice pic. 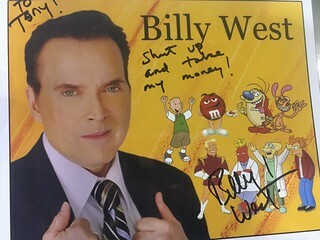 Next was another voice actor, Billy West. He was nice, but it was a pretty quick combo for me. 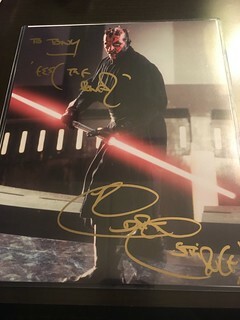 Finally got a chance to go to Ray Park’s table. Turns out he was of course doing table photos, so I got one there. 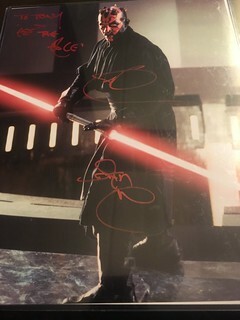 We did chat for a bit and he wasn’t happy with how my paint pen was coming out, looked fine to me, but he offered to give me another autograph at no additional charge. Very nice of him to do. Last up was a pro op with recent NY burglary suspect, Sean Young! I have to say, she was pretty nice during the photo. She of course was doing table photos as well, but her pro op was set before her autograph time. 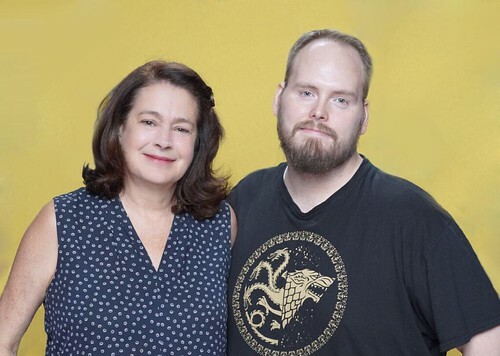 I personally did not like the photo op background chosen by the photo company, so once I was mailed my digital copy, Andrew assisted with me with photoshopping the image. Here are both for comparison. I was done for the day but hung out a little longer with Andrew, who was waiting in David Hayter’s line, who was not at his table and nowhere to be found. While waiting, down further in the autograph area I saw Ray Park doing a lightsaber demo/duel with another person. Thought that would be cool to catch, so I went down there and recorded multiple clips. 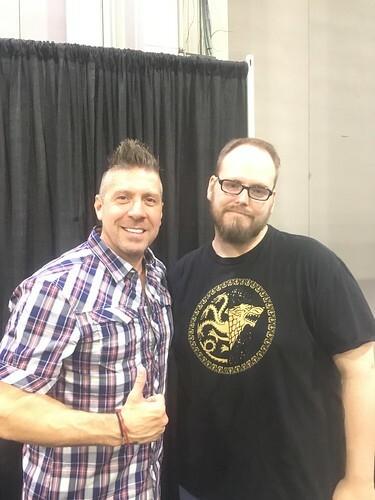 Due to the angle I was at, I didn’t realize until close to the end that the person Ray Park was dueling was in fact David Hayter! Found out later that what they had rehearsed was a battle sequence between Darth Maul & Obi-Wan from the Phantom Menace. It was pretty damn cool to see and a good way to end the con. Next con happened this past weekend, which was Fan Expo Boston. Leading up to it, I of course managed to severely sprain my ankle...again. Had to wear a walking boot up until the day before the show. Also sucked that 2 of my wants, one being a major one had canceled. Line up was still strong, plus I already received my VIP badge, so no stopping this from happening. Now I’ve purchased VIP tickets to multiple shows, but this one did things differently that really helped kill waiting time. Instead of lining up in whatever guests line, you actually go to the VIP table in the autograph area, tell them who you want to see and if that guest was at their table, you are walked directly to the front of the line. Made things REALLY easy for the 2 days I attended. 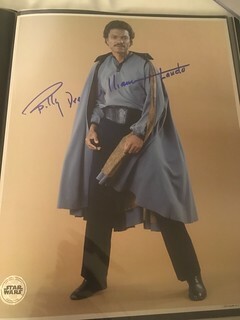 First up was the smoothest man in the galaxy, Billy Dee Williams. He was a man of few words, but really cordial. I purchased an exclusive print from the show’s store to get signed and I love the result. Next was Freddie Prinze Jr. Very nice guy. 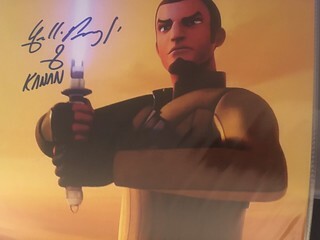 We chatted for a moment about Star Wars Rebels and he signed a picture from it for me. I hope his character is brought back for the recently brought back Clone Wars cartoon. The rest of the day was filled with photo ops. Now as previously stated 2 people had canceled when I pre-purchased their photo ops. Epic Photo Ops emailed me stating that I could either trade in my photo ops for others at the show or I could wait 5 to 10 days after the con ends to get my refund. I chose the former. 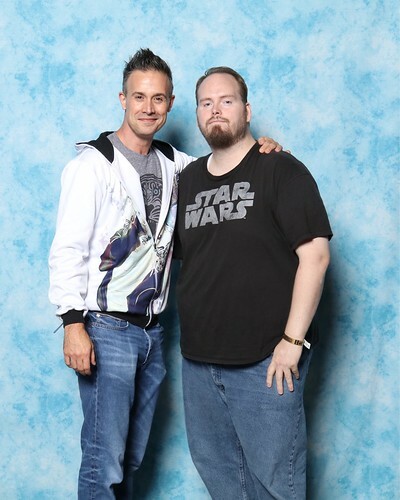 One of the photo ops was for someone I’ve met previously, but since I’m a fan, it was an easy choice. 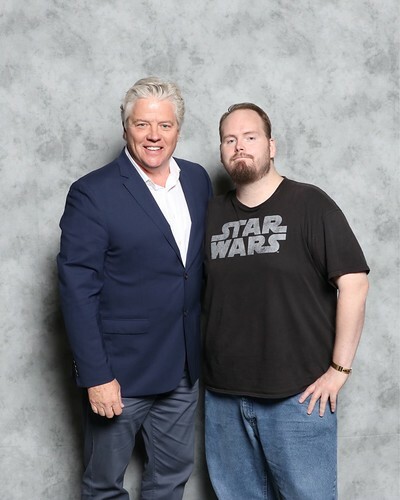 The other photo op was for Mr. Biff Tannen, aka my 2nd favorite Tom Wilson. Tom was very cool, shook hands and took a nice pic. 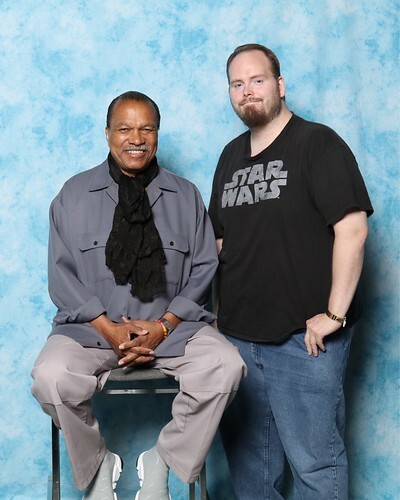 My last 2 ops were with Freddie Prinze Jr and Billy Dee Williams and I was done for the day. Next day was initially looking to be hectic since no autograph times were posted in advance for Jeff Goldblum. Luckily, when I made it to the autograph area, they stated he would be signing from 10:30 to 11:30, before his scheduled panel. He actually made it almost 20 minutes early. His table was pretty much an assembly line...put your item down, he signs it and you’re done. For big names, that doesn’t surprise me and I was more than fine with this. 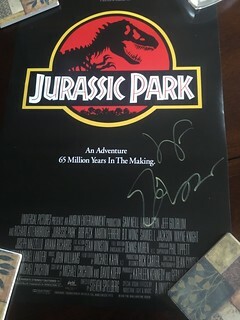 Got a Jurassic Park poster signed. 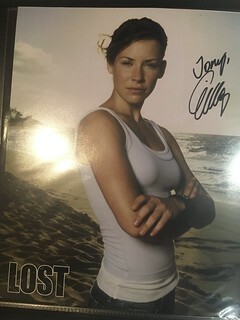 My next venture was getting a proper Evangeline Lilly autograph. Met her previously at NYCC, but only thing I was able to get signed then was her Squickerwonkers book. She’s still as nice as can be and I got a photo from Lost signed, which is still one of my favorite shows. 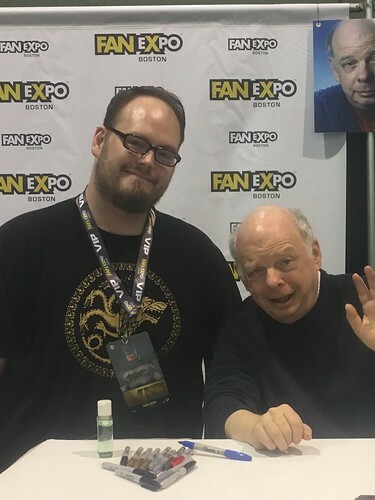 My only table op at this event was with Wallace Shawn. Sounds inconceivable...but most people that were doing table photos were charging the same amount as their pro ops. If I ever decide to use a proper camera, I’d see doing this, but for now I’ll stick with my iPhone. Anywho, Mr. Grand Nagus was nice; took my pic and was off to the photo op area. 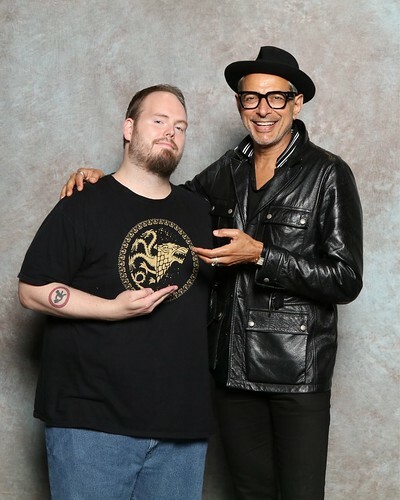 My first of two back to back photo ops was with Jeff Goldblum. Here is where Jeff was actually interactive and he had his trademark swagger. He greeted me, shook hands took a great pic. 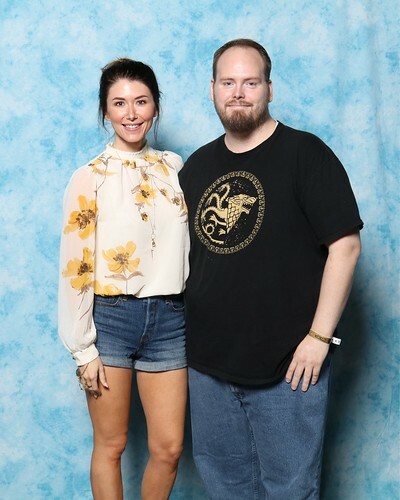 Finally my last thing was pro op then autographs for Jewel Staite. As stated, I’ve met her before and she gets more awesome each time. Aside from her complimenting my Firefly/Serenity tattoo again, she loved the photos I chose from her table to get signed because apparently no one picks it... and it’s a running gag between her and her husband of how many of it she gets signed at each con. Well I told her she could at least say 2 this time since I got one for me and one for my friend in Georgia. She thanked me and again another terrific way to end a con a positive note. 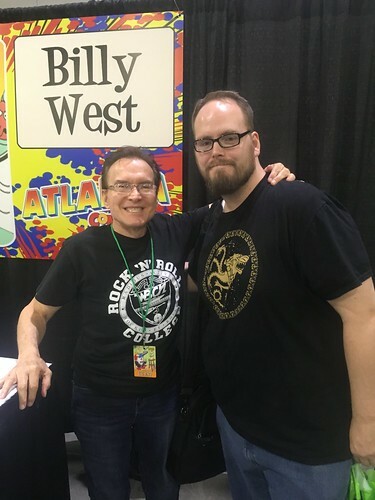 Aside from lack of guests met (Atlanta), cancellations (Boston) and by the far the worst BO I kept smelling from others for an entire con (Boston), these were quite simply the easiest cons I’ve done in a while and made them that much more enjoyable. I wish other companies would do for VIPs what Fan Expo does for their shows. I hope you all enjoy this long read and I’ll catch you all next time. So many good gets Tony. Yes, Boston is smelly, and great timing on Sean Young, ha ha ha. Great shots! Especially Jeff Goldblum! Great gets. I agree the Fan Expo VIP packages are probably the best ones going, very limited number sold and front of the line for everything, essential if you have a lot of autographs to get. I can't wait to get to Fan Expo Canada in a couple weeks. That Jeff Goldblum shot is amazing! Great stuff! My only table op at this event was with Wallace Shawn. Sounds inconceivable...but most people that were doing table photos were charging the same amount as their pro ops. I take it then that Wallace Shawn was not charging the same amount for table op as the pro op ? As others have chimed in, the Jeff shot is awesome. In theory that's possible. However, they already made a comic book showing what happened to him post order 66 and how he managed to survive. At that comic book is considered valid Star Wars canon. I am however excited for those Clone Wars cartoons. Hope they retain the adult oriented direction. Will be awesome to finally see Order 66 at the end of it.